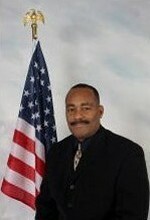 Joseph Shell joined the New Jersey State Police in 1988. He served at several road duty stations in Troop "B" (Northern New Jersey) and Troop "D" (The New Jersey Turnpike). He also patrolled in the City of Irvington (High Crime Patrols). Joseph served with the Executive Protection Unit where he provided security for three New Jersey governors at home and abroad. He served as a Detective Sergeant who investigated shootings in both the City of Irvington and Newark while assigned to the Strategic Investigation Unit. He was the Assistant Unit Head of the Strategic Investigation Unit. Joseph is a 25-year retired veteran and Detective of the New Jersey State Police. Before joining the New Jersey State Police, Joseph enlisted into the United States Marine Corps. He served on active duty with the 3rd Tank Battalion, 27th Marine Regiment and the Marine Corps Air and Ground Combat Center at 29 Palms, California. Joseph has also been an active member of The Cadet Corps since its inception in 1996. Additionally, Joseph has been coaching Pop Warner football for ages 5 through 16 years old, for the last 10 years. Joseph is married to Linda and they are the parents of three wonderful children and one grandson.